January 2012 Ash Dance Theatre teaches BA World Performance students South Asian dramatic role types at E-15 Acting college. December 2011 Around The Clock, choreography for Real Arts Teen: Age Project premieres at Westminister Kingsway College. October 2011 Ash Dance Theatre is delighted to announce that Ash has been nominated for a London Dance Award for his choreography for Song Of The City commissioned by Akademi UK. Previous winners include The Ballet Boyz. October 2011 Ash to start choreography/movement direction for Unicorn Theatre's production of The Snow Queen. September 2011 Ash to start choreography/devising rehearsals for Real Arts Project, London. August 2011 Premiere of Song Of The City for Akademi at Southwark Playhouse Vaults. May 2011 Ash Mukherjee has been commissioned by Akademi UK to create a piece to mark the 150th year birth anniversary celebrations of India's national poet, Guru Rabindranath Tagore. It is to be a new site specific work for three dancers, entitled 'Song of the City'. The piece which is set against a backdrop of 21st century urban landscape is inspired by the songs, poems and doodles of Tagore. It explores the dualities of black and white, west and east and old and new, as city dwellers fall in and out of tune with the city and take a journey deep into its heart to reveal the soul that pulses within the city. It premieres on August 4, 2011 at The Southwark Playhouse Vaults. Previews on 3rd June at The Rich Mix Theatre. 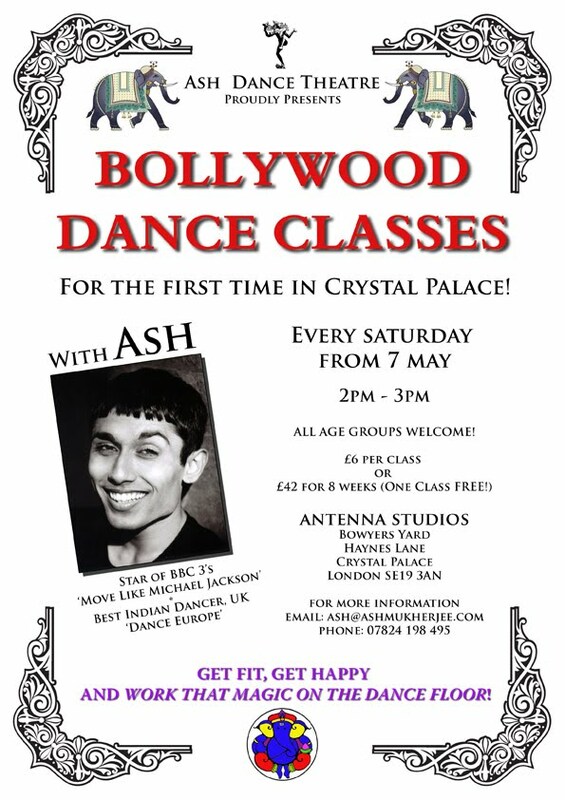 April 2011 Ash Dance Theatre has just choreographed a Temple Dance/Bollywood inspired routine for the hottest international dance show on TV, So You Think You Can Dance UK 2 on BBC1. February 2011, Ash Dance Theatre teaches BA degree (hons) South Asian dance technique classes in Canterbury University. January 2011, Ash Dance Theatre teaches BA World Performance students South Asian dramatic role types at E-15 Acting college.